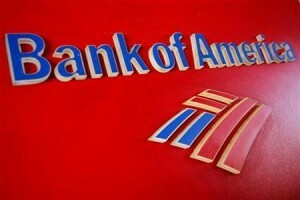 Thousands of Bank of America Accounts Hacked ! Thousands of Bank of America customers' account information could be in jeopardy after a major security breach. Christy Clark went to a Royal Oak drug store Friday, but when her debit card was declined, she knew something was wrong. “I was very embarrassed,” Clark said. She went straight to the Bank of America branch near 12 Mile Road near Woodward Avenue in Royal Oak to report the problem. When she arrived, she was surprised to see the lobby packed with customers who experienced the same issue. “When I entered the branch, that’s when I realized this was a bigger problem,” Clark told Local 4. Bank of America told Local 4 this involves more than $100,000 worth of transitions. Bank employees told Clark they issued a number of temporary debit cards to customers who discovered money was missing from their account. Two bank staffers said they were also victims of this crime. It remains unclear if these accounts were hacked into internally, or if someone outside the company committed the crime. It is also unclear if this problem is limited to Michigan, or customers across the nation are impacted. Bank of America is investigating all possibilities to see where the money went. Bank of America said if any suspicious activity is flagged on your account, it will be shutdown immediately.